“Orange Thunder”: what’s that? Racing noise that is rarely ever heard nowadays. The high-pitched whistle of a Cosworth V8 in the rear of a March Formula 1, for example. The muffled rumble of Porsche 956 and 962 turbo-engines. The screech of a two-litre BMW naturally aspirated engine in a Formula 2 March or the roar of a Porsche Carrera RSR. They’re all exceptional enjoyment for enthusiasts. The management team from Southern Glazer’s Wine & Spirits (SG) in Miami/Florida – with their boss Wayne Chaplin in the lead – revelled in the fun. 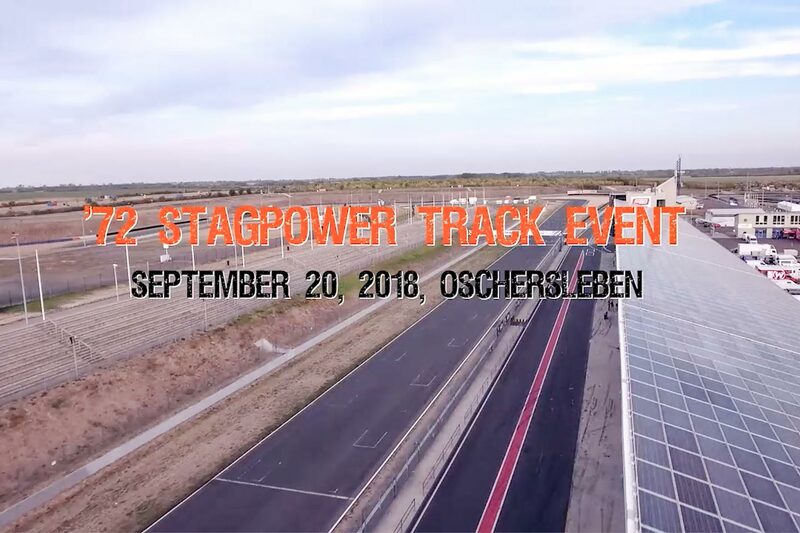 The SG managers experienced an exclusive appearance by ‘72STAGPOWER on the Oschersleben racetrack, with ten exceptional Jägermeister cars from the nineteen-seventies to the nineties. The cars were driven by Hans-Joachim Stuck, Marco Werner and Timo Rumpfkeil. Then Germany’s racing legend “Strietzel” Stuck and car fleet team boss Timo Rumpfkeil chauffeured the guests around the Arena racetrack at full speed in a KTM racing taxis. Afterwards? Excitement in the pits. And a new idea: “Orange Thunder” may take place more often in the future. For companies, fan groups or enthusiasts who want to treat themselves to this kind of racing enjoyment.